CAB softball paint is an amazing product to use when painting softbaits. The color is mixed and packed by hand in Tampere Finland, by CAB-Coating and because of this, there can be paint in the cap when it´s opened. CAB softbait paint is very fluid and easy to work with. Dries extremely fast and gives the bait a matted finish. This paint works really well with plastisol and etches on to the material. - Opaque: Covering color with many areas of use. Sometimes you need to mix the Opaka with transparent clear to get a thinner color with better fixing. - Transparent: Semi covering colors. Wonderful to work with when working up different color casts. 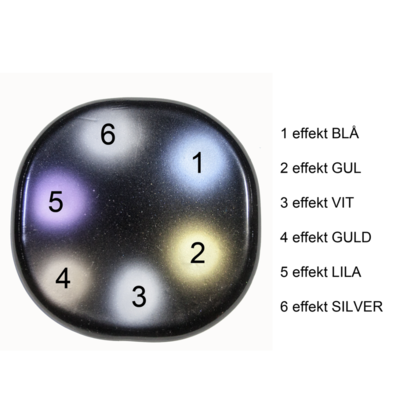 - Effect metallic: Clear pearl colors with different effect depending on the light. These colors are often called highlights. Especially comes to its right when painted on to dark colors. - Pearl: Covering metallic that suits all colors. Perfect to use when painting scales or similar patterns. - Fluorescencent: Strong colors who gives a powerful effect when the UV-lights are high. Perfect for striking points. Always use a safety mask with chemical filters and good ventilations. These colors contains solvents. If you're under 18, you should ask an adult to supervise. Use an airbrush with 0.3-0.5mm tip. 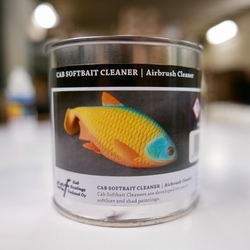 Most softbaits gets oily, therefore you need to wipe them with alcohol, acetone, thinner or dish-soap. Always let your baits dry before painting them. 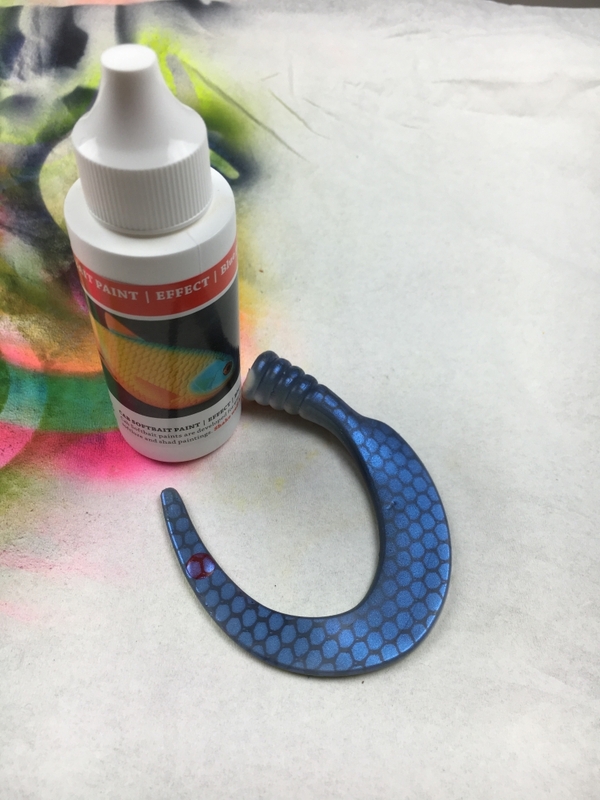 Clean your airbrush with acetone, thinner or alcohol but be gentle with the gaskets. Paint with multiple thin layers, rather than a thick one. Always leave your baits to dry for a couple of hours when you are done. To get a shinier finish, grease up your baits with, for example a clear cooking-oil. 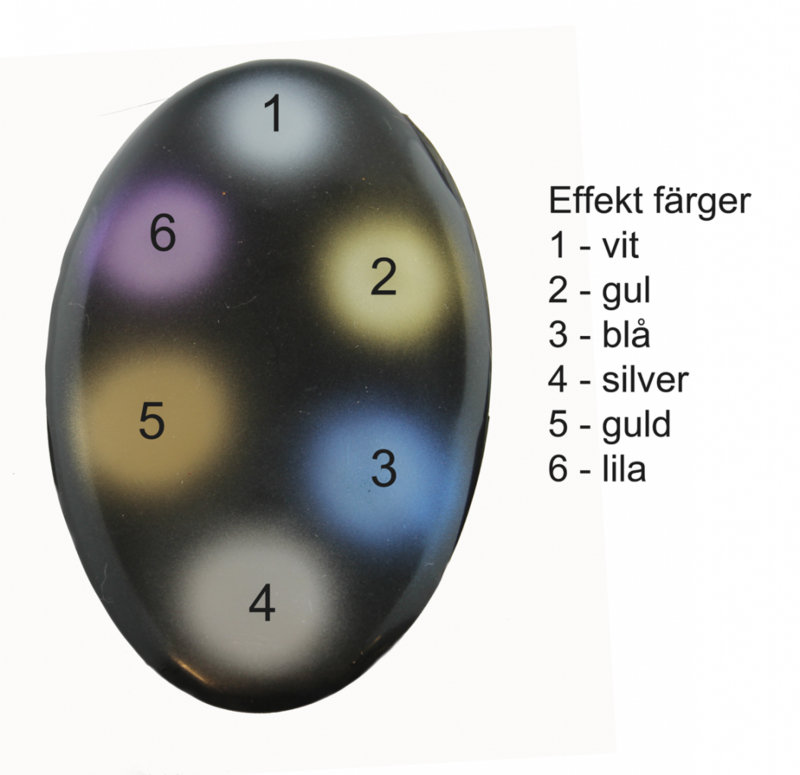 Check out the talented Mikko Okkonen AKA SolarFallbaits video about CAB colors!